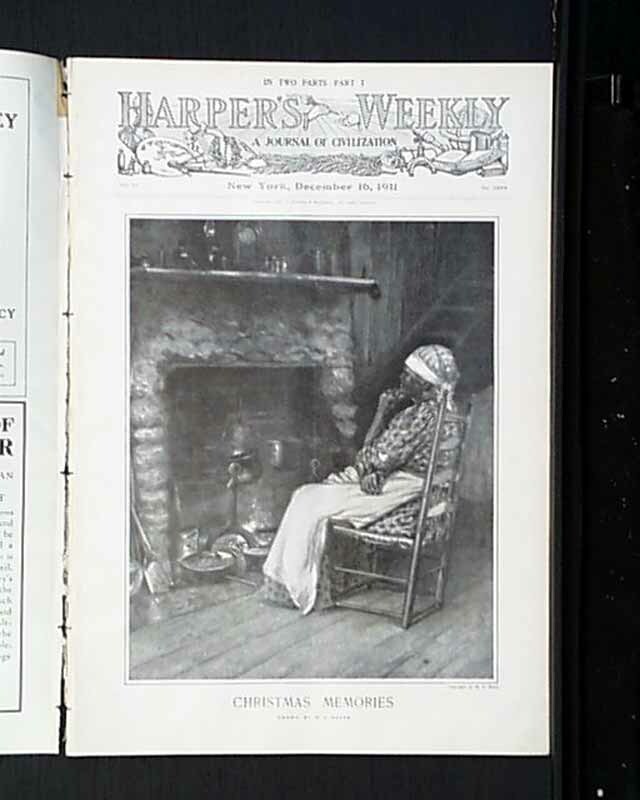 This issue is a Christmas issue, so there are many short stories and color tinted illustrations. 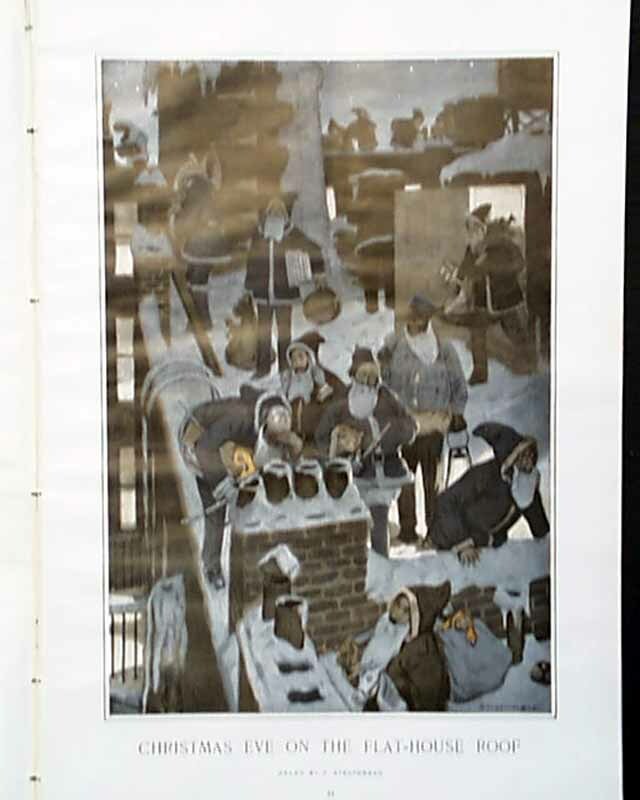 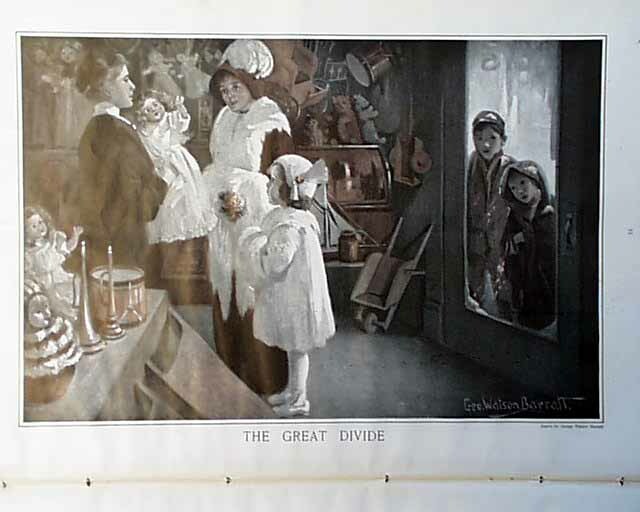 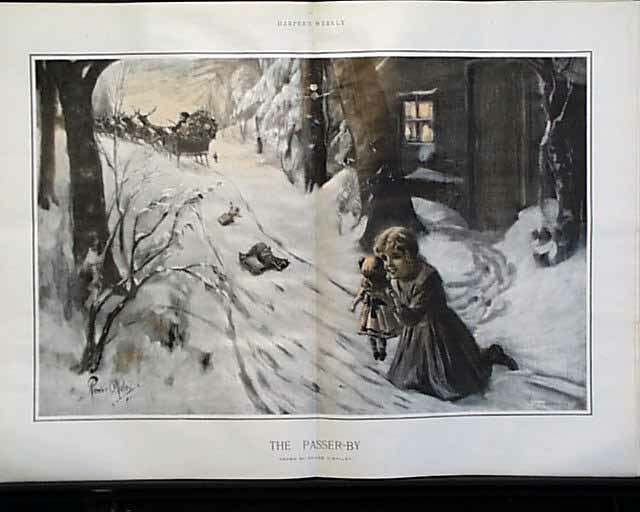 These full page illustrations include "Christmas Eve on the Flat-House Roof" by F. Strothmann; "The Great Divide" by George Watson Barratt and the double page illustration is "The Passer-By" by Power O'Malley. 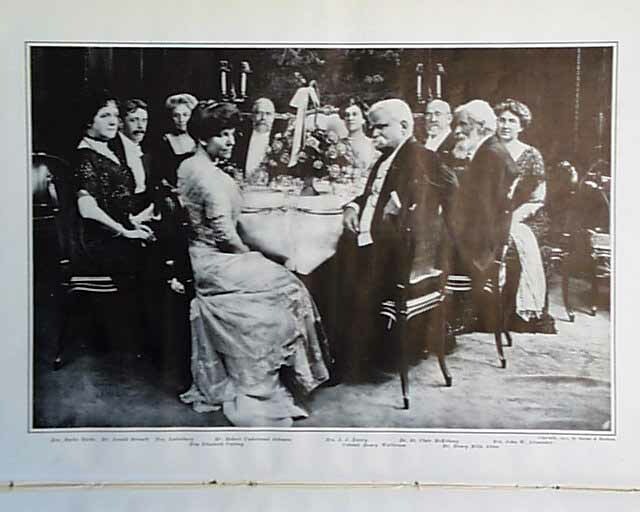 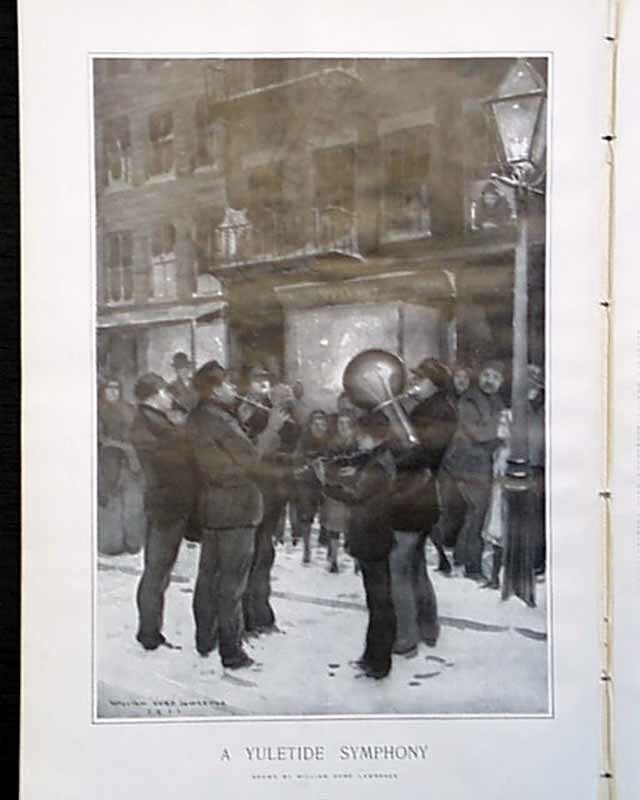 There is a black and white illustration of "A Yuletide Symphony" by William Hurd Lawrence and this issue has "A Tribute to Arnold Bennett--Souvenir of a Dinner given to the distinguished Novelish in New York Nov. 27, 1911." 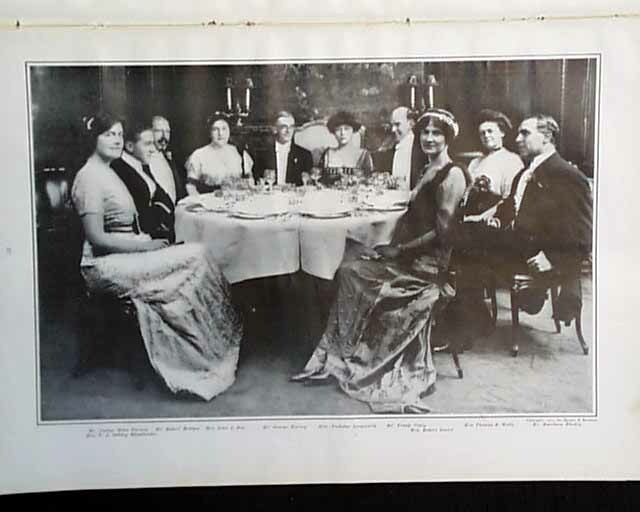 This part of the issue include 11 full page photos of different tables at the dinner. 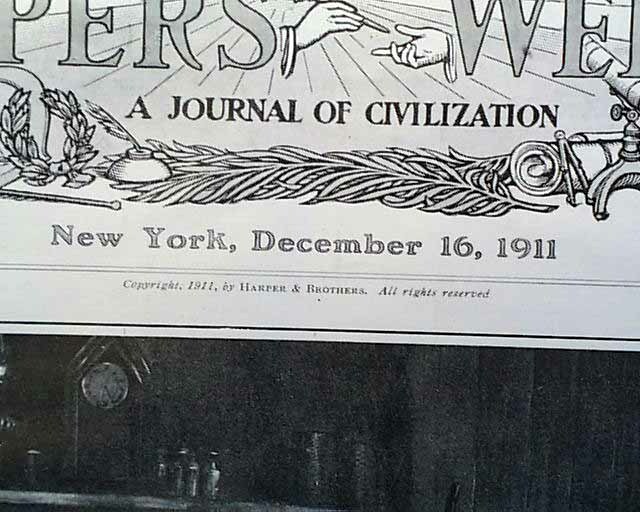 There is also much more included in this issue.